With recent news that Paul Greengrass and Matt Damon might be teaming back up for a fourth installment to the original series, I've found a nice connection to my second post in this series. The Bourne Trilogy is the defining movie franchise of my college years. Doug Liman's first installment was released the summer I graduated from high school. Paul Greengrass took over with the second one, which was released the summer of my second freshmen year of college. Then, Greengrass returned to complete the trilogy just as I was hitting my stride as an English major and future educator. A couple years ago, Universal decided to release a fourth installment called The Bourne Legacy, which tells a parallel story of an assassin similar to Bourne played by Jeremy Renner. Not a bad movie but certainly not part of the original franchise, nor is it a part of this set. Honestly, the reason the original Bourne Trilogy is so good is the presence of Matt Damon. He is just so much better at this than any other actor. I seriously can't think of another who could do this role justice. I hope he and Greengrass really come back together and do another one. I know, from the special features and interviews I've read, that both of these men really love making these films. First and foremost, I'm not a huge special features guy. I want the best quality movie experience. This trilogy is that, boasting a top quality picture transfer and the "purest digital sound." All three also contain audio commentary with directors Doug Liman and Paul Greengrass, respectively. This Blu-ray set contains a U-Control feature that allows the viewer to receive interactive information about character motivations across all three movies, interviews and and behind-the-scenes footage picture in picture as the movies play, and an item called "The Bourne Dossier," which brings up information regarding characters, locations, and top-secret files while you are watching. This is not for me other than just to see what it's like. It's pretty cool. I won't use it again unless I one day have a young son who wants to interactively watch his movies. Just seems distracting to me. When The Bourne Identity was released in 2002, I remember thinking Bond?, Who Bond? Seriously, in the realm of espionage thrillers, nothing like this had ever been made. From Robert Ludlum's more-than-twenty-year-old novel, a screenplay was formed by Tony Gilroy and William Blake Herron that both updated and expounded the idea. That idea being more of a question: How awesome would it be if a best-kept-secret government agency was outed when its top assassin botches a job and ends up with amnesia? This is the whole thing. It works its way all the way three pictures. It becomes a mission. A badass, action-packed mission that never slows down or gets old. The best of the first film, which seems dated now, comes in the beginning. A man is taken out of the sea by a fishing crew. Another man, an older gentleman, removes bullets from the other's back as well as a small laser device that projects an account number. The wounded man remembers nothing. The fishing boat drops him in Zurich. When he falls asleep on a park bench and is awakened by the police, the fury is released. This is action-direction at its finest. And the deal is sealed, Matt Damon as Jason Bourne is a badass. 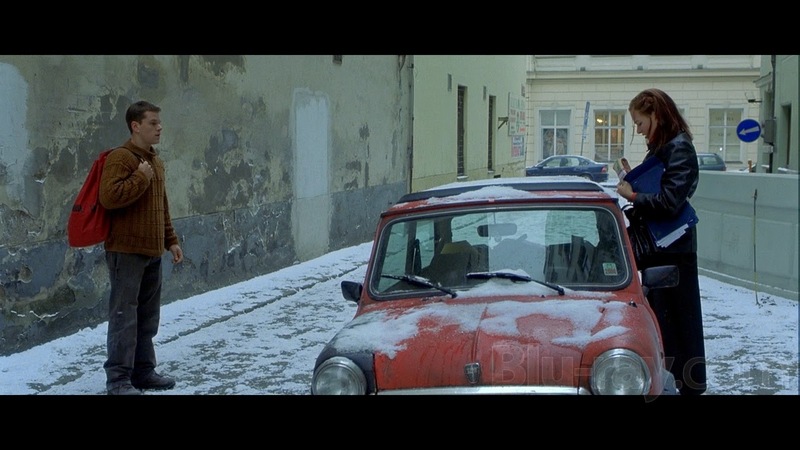 When Bourne meets Marie (Franke Potente) and asks for a ride to Paris, the story only becomes richer as, together, they track this man of many names through a good part of Europe, slowly connecting the first pieces of his fragmented memories. He was an assassin. He worked for a unit called Treadstone. Treadstone is a hidden entity within the American CIA. The Bourne Identity disc is teeming with deleted scenes and also contains an alternate opening and ending. There are several documentaries: one that traces the story from novel to screen, another that follows the love story of Bourne and Marie, and one that chronicles the making of a fight sequence. There is also an interview with Screenwriter Tony Gilroy. The second installment took what Doug Liman started and turned it into solid gold action movie. Like The Empire Strikes Back and The Godfather Part II, it is the middle and the best of the trilogy. Remember all the hate for the shaky-cam? Piss on that. That is Greengrass, and it's why his movie works. He is a master of the handheld camera. The fights are more real and much more badass. Hand-to-hand combat is what makes these movies awesome, and Greengrass just directs that so much better. And let's not forget the car chase sequences. Goodness! This time around, a much more beefed up Matty Damon as Bourne is embroiled in a set-up involving an assassination in Berlin. In the meantime, he finds himself remembering a job he did, his first for Treadstone that happened to take place in Berlin, the assassination of a Russian diplomat and his wife. Also added to the mix is Pamela Landy (Joan Allen), a CIA executive with a soft-spot for Bourne. The addition of the Landy character is a masterstroke. At this point, Bourne is just so much better than these office suits at the game they created, it's funny. You literally jump around in excitement at the awesomeness in this movie. The Bourne Supremacy disc contains a few deleted scenes and several "making of" documentaries. One of which is an "Anatomy of a Scene" on the Bridge chase sequence. There is also a "Crash Cam" doc that highlights the shooting of the chase scene in Moscow. Bourne 3.0 is the most badass of the badass. I've been using that word a lot. That's because there is no other word. There is a set-piece about half way through this movie that is unlike anything ever filmed. 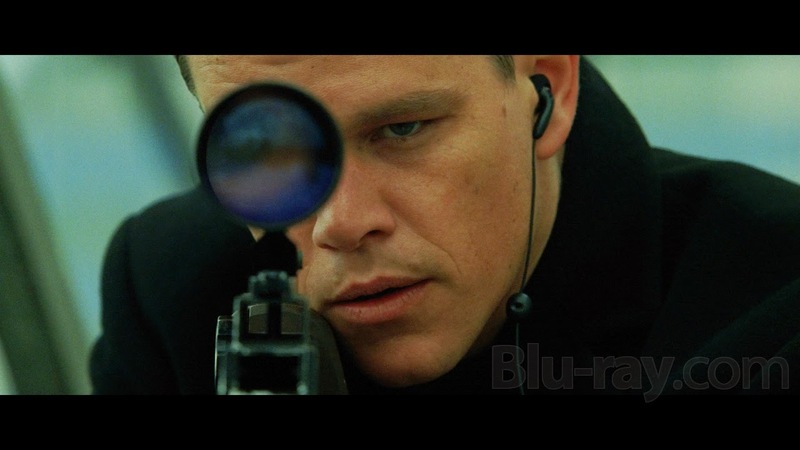 Bourne is involved in a chase in Morocco with a Blackbriar (the even more highly-skilled upgrade of Treadstone) operative. This chase goes from dirt bike to rooftop to dudes literally running through apartments out windows, sometimes off rooftops into windows several stories below. It is mind-boggling. This one provides a nice ending. It starts out right where the last one left off. In Russia. 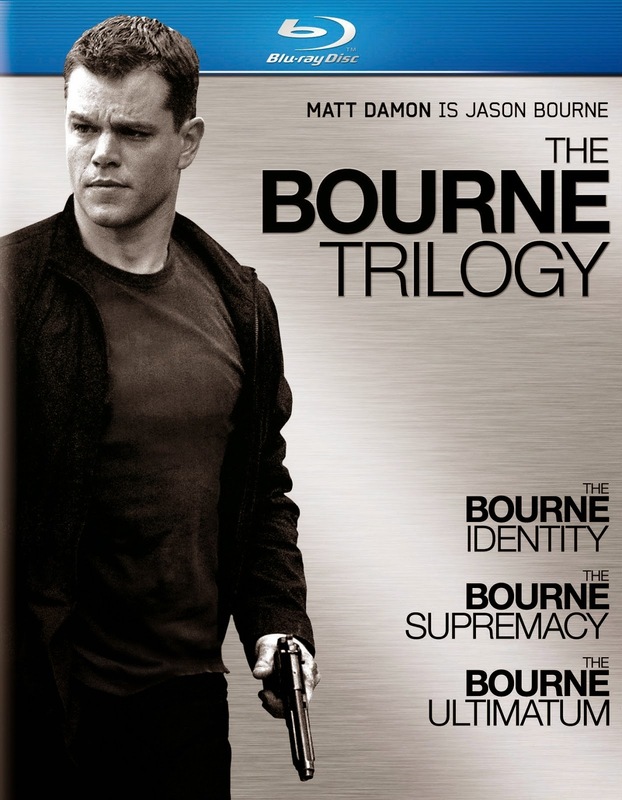 Bourne is injured, recovers, and ends up in London, where a newspaper reporter (Paddy Considine) has uncovered some sensitive information regarding Bourne, his connection to Treadstone, and its connection to Blackbriar. There is a sequence at London's Waterloo Station also unparalleled as far as spy movies go. Bourne drops a burner phone into the reporter's pocket and literally guides him through the heavily-policed-by-CIA terminal. Greengrass really goes all out and truly expands the series here. Where the first film took place mostly in Paris and the second one in briefly in India, then Berlin, then Moscow. This one goes from Moscow to London to Madrid to Tangier and then comes home to New York City, where a chase involving an NYPD patrol car just seals it up. These are the quintessential spy movies. They raised and set the bar. I mean, look at the latest Bond film. Sam Mendes saw what was up, and made James Bond as badass as Bourne. I can't wait for his next one, Spectre, to be released next year. I also look forward to any future collaboration between Paul Greengrass and Matt Damon. They like each other, work well together, and neither will do more Bourne without the other. Have you ever wondered how that rooftop chase scene was made? This Blu shows you, at least briefly. There are also features on blocking the punches of a fight scene, driving school, and a "making of" on the the NYC chase sequence. The Bourne Trilogy is affordable (at around $35) and friggin' awesome. It is a must buy for fans of the series. Just do it. You need all these movies on hand for days when you need a little badassness. I love it. Most badass of the badass. I love this trilogy. I was one who pissed on the shaky cam, and I still find it distracting in the second film, but it seems to even out in the third, which is why that film is just so incredible and the best of the series. I agree with you on Damon making these films work. His presence is really something else. I didn't think he had this in him. Glad you're doing this series! This has been fun so far, man, getting to revisit some of the great trilogies. Greengrass definitely toned down the shaky handheld look on Ultimatum. The People spoke! Even so, all three really are the defining spy thrillers for me, and I cut my teeth on Bond. I don't mind the hand held, just don't over do it. I mean, I want to know what is actually happening in the scene! Matt Damon is so badass, and I think that is why he is so good as Linus in the Ocean trilogy. Can't wait to read that!